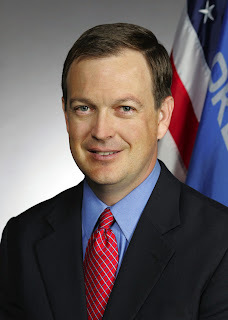 Oklahoma's Pension Oversight Commission and Tobacco Settlement Board of Investors unanimously passed a new requirement that forces investment managers to reveal any fees given to third party marketers. The measure is part of a new effort to regulate placement agents' interactions with institutional investors like pension funds to prevent a pay-to-play practice. Oklahoma's pension board holds $14.6 billion and the tobacco board oversees $400 million. Pay-to-play refers to the practice of exchanging cash with officials, often through campaign contributions, in return for being awarded government business. New York Attorney General Andrew Cuomo and the U.S. Securities and Exchange Commission are investigating agents and money managers who used ties to public officials and kickbacks to buy and sell access to pension funds. Neither of the two Oklahoma funds has reported problems with pay-to-play, said Tim Allen, deputy treasurer, in a phone interview. The Oklahoma Teachers’ Retirement System last month dropped Aldus Equity Partners, which has been tied to pay-to- play allegations, as an investment management firm, said Allen.